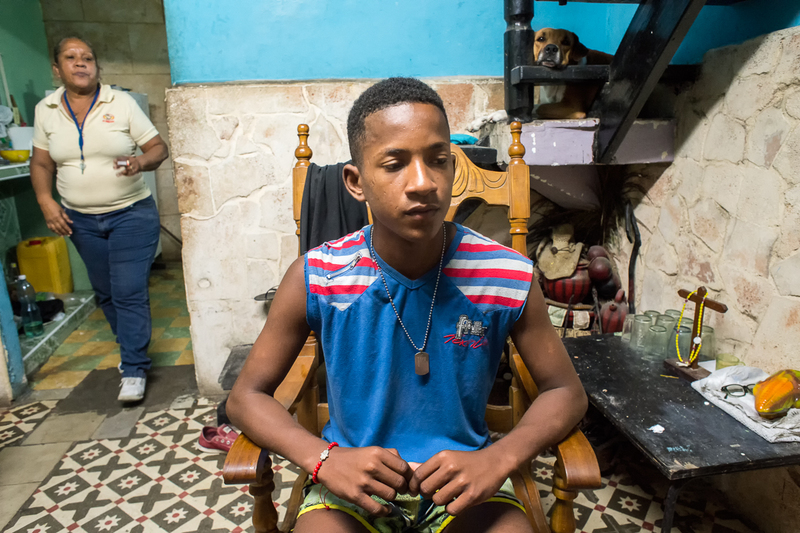 Centro Habana, Havana Yorlanis Veitia , 16, sits in a rocking chair in the living room of the small house where he lives with his mother who works in a state-owned fast food restaurant. They have a hard time meetings ends. An average state salary is less than $20 and even though most people find a way to make some money on the side, having enough to satisfy all necessities is often a struggle.